Despite its modern reputation as a peaceful and neutral country, the very fact that Switzerland is packed with so many beautiful castles tells the story of its war-ridden past. Here, we’ve brought together castles that could have been taken straight out of a fairytale. 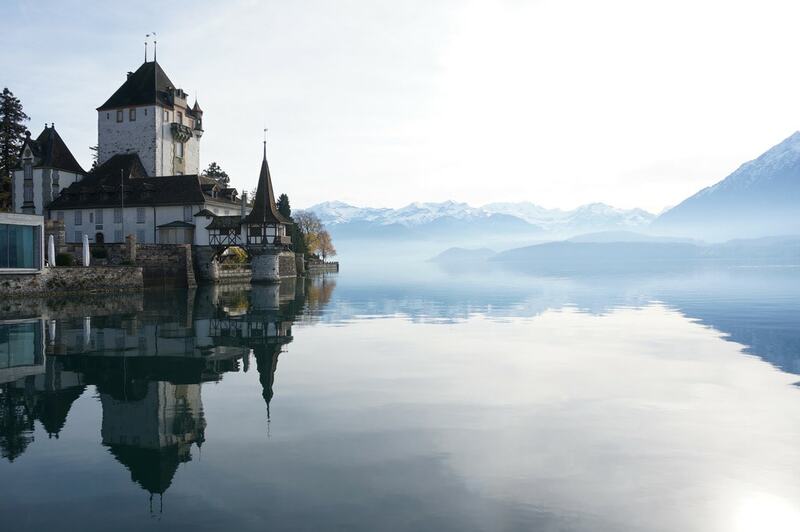 Oberhofen Castle is easily recognized by its lonely white spire that juts out on to Lake Thun in the canton of Bern. The castle is as beautiful on the inside as on the outside, particularly in the chapel, which is elaborately decorated with murals dating back to the 15th century. Right next door to the park is a two and a half hectare park. Said to be one of the most beautiful green spaces in the whole country, it is littered with wonderful garden art and floral designs. Known not only as Switzerland’s most beautiful castle but as its most-visited historical site, Chillon Castle should come high on your places to visit. This historic building sits perched on a rocky outcrop looking out on to Lac Léman, or Lake Geneva. From within, you can look out across the still waters to the snow-tipped Alps beyond, or descend into the depths of the castle to explore the dreary dungeons. 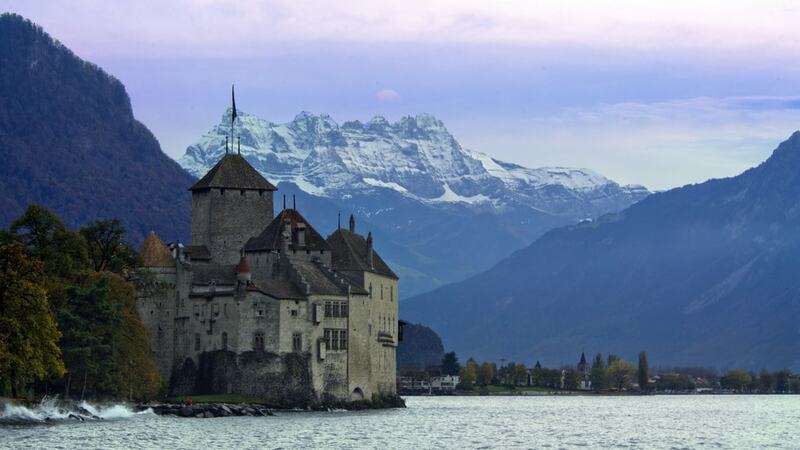 Chillon is at once beautiful and steeped in history. Lord Byron famously penned The Prisoner of Chillon in 1816 after visiting the site. Three castles were built to protect Bellinzona, the capital of Ticino. Each of the castles formed a ring, along with a fortified wall, of which little now remains. 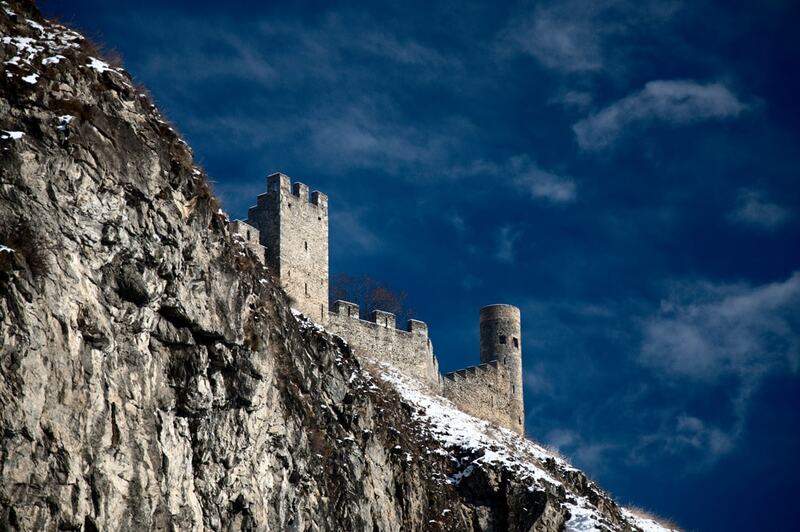 Together, these three fortresses make a visit to Bellinzona totally unique. Castelgrande is the oldest of the three and was built in the 13th century. A little higher, and perched on a hill opposite Castelgrande, is the castle of Montebello. The third and highest castle is Sasso Corbaro from which you can enjoy wonderful views of the entire city. At night, each of the three castles lights up and their full splendour is plain to see. 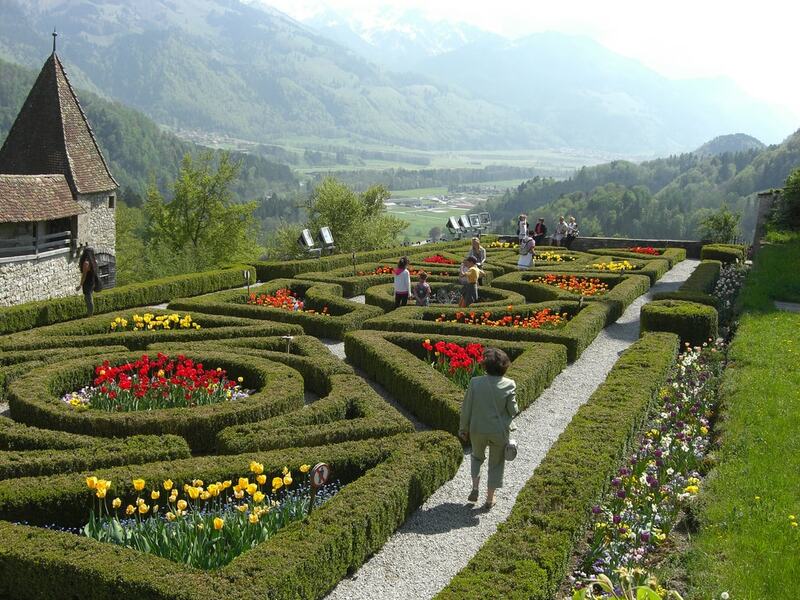 Towering above the city of Sion is Tourbillon Castle. The climb up to the castle, following a winding path around the hill which it sits on, is long and arduous but as you scale the battlements and look out on the landscape below, all the effort becomes worth it. The castle was built as a residence for the Bishop of Sion in the 13th century and in 1788, most of it was destroyed in a huge fire. Today, the castle is home to a museum. Walking beneath Gruyères Castle, with the castle’s walls towering above you and the view of the Alpine foothills in front, is a great way to walk off a fondue lunch in the medieval town of the same name. Inside, you can admire landscape paintings by Swiss artists of the likes of Jean Baptiste-Camille Corot, stained-glass windows and capes worn by knights of the Order of the Golden Fleece, which have a special historic significance in the story of Switzerland. This 13th-century castle is the highlight of any trip to Gruyères, apart from the cheese, of course.